Is the Motor City Primed for a Comeback? Don’t call it a comeback, Detroit has been here for years, but the city has fallen on hard times recently, particularly as it relates to gambling revenue. Despite the highly publicized struggles of the Motor City in recent years, the early results for 2015 could be providing a glimpse of a Detroit recovery. In the first six months of the year, total gambling revenues for the city’s three casinos were up 4.8 percent, as compared to the same period in 2014, according to the Michigan Gaming Control Board. Similarly, the three casinos posted strong revenue for the second quarter, recording a 4.3 percent year-over-year improvement. So, what is fueling this strong performance? Ironically, it could have something to do with the very automotive industry that helped Detroit build itself into an international manufacturing hub years ago. According to Jacob Miklojcik, a gaming consultant based in Michigan, the strong performance of Detroit’s casinos is likely a result of lower gas prices. Last year, unleaded fuel averaged $3.80 per gallon in the Detroit metropolitan area. This year, gas has fallen to just $2.95 per gallon, making travel a more feasible option for millions of residents. A secondary cause of the industry’s resurgence is the recovering economy. Unlike recent years, citizens currently have access to more disposable income, making recreational options, such as casino visits, more attainable. Since 2012, the casino industry in Detroit had been trending downward as a result of increased competition from newly opened casinos in neighboring Ohio, as well as tribal properties in the area. However, recent results indicate that the city could be ready to reclaim its gambling throne. 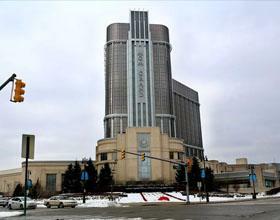 Detroit’s three casinos – the MGM Grand Detroit, MotorCity Casino Hotel and Greektown Casino-Hotel – opened between 1999 and 2000 to strong initial results. To date, only the smallest of the group, Greektown, has declared bankruptcy, as it had never turned a profit as of 2013. The benefits of a recovering casino industry go beyond the effects on casinos, however, as gambling taxes will be critical to helping Detroit continue to recover following the recent economic crisis. After exiting bankruptcy last December, the Motor City regained access to crucial gambling taxes that had been held as collateral on previously owed debt. These funds are essential to financing basic services, including police and fire protection, anti-gang programs, economic development and other programs that improve quality of life within the city limits. Lately, these taxes have accounted for approximately 16 percent of Detroit’s total revenue, or just under $170 million. Despite the lack of full financial performance reports for Detroit’s casino industry, such as reports of casino profits and non-gaming revenues, recently released revenue figures provide the city’s gambling industry with a strong foundation upon which to build moving forward. Look for Detroit’s casinos to continue leveraging the benefits of decreased gas prices in order to promote a sustained resurgence in the face of increasingly diverse competition in the surrounding area. If successful, this casino industry comeback could be the start of big things for the City of Detroit in the years to come.